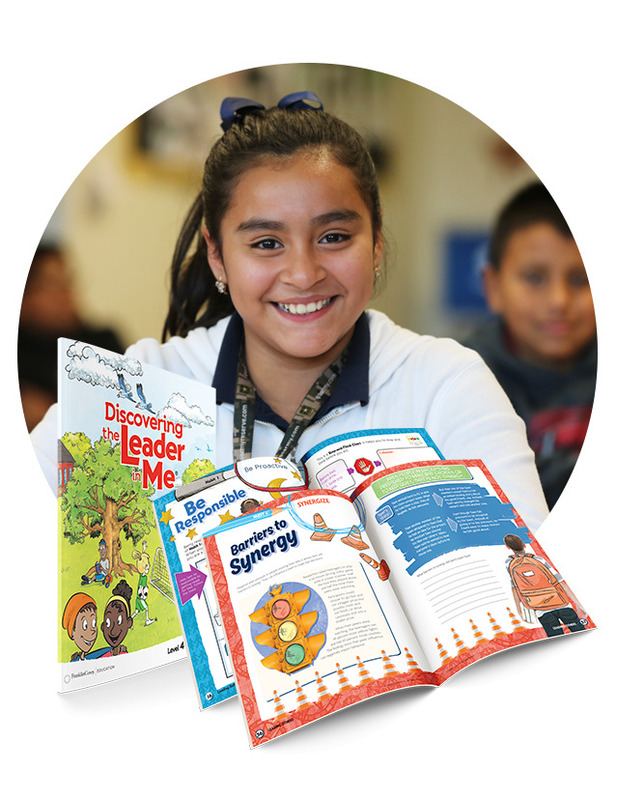 Inspire elementary school students to participate in a school-wide culture of leadership with over 38 lessons centered around learning and applying 21st century leadership skills. 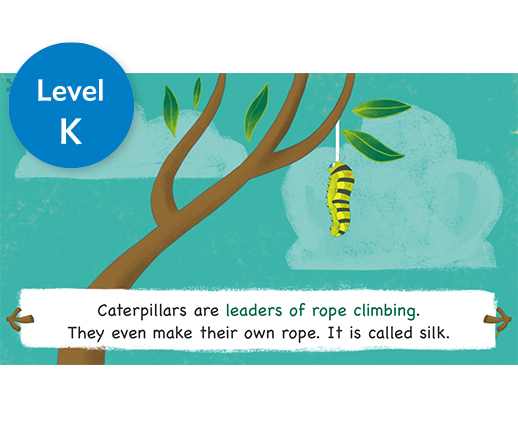 Join students in learning, teaching, and applying the leadership principles found in this K–6 Leadership Series. 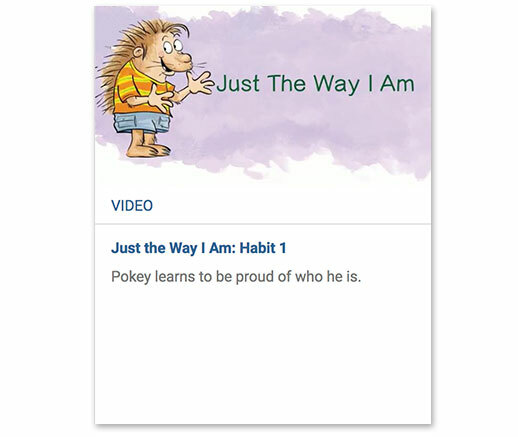 Direct teaching of key concepts associated with the 7 Habits. 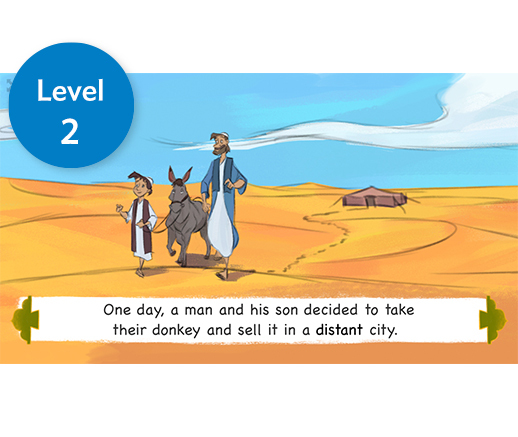 7 Habits training for staff is a critical part of implementation. 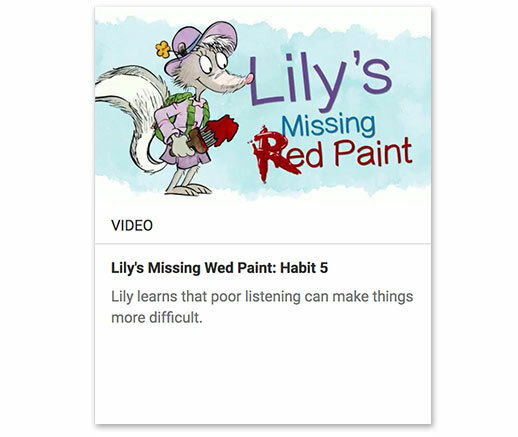 Likewise, Student Leadership Guides teach the 7 Habits to students with equal importance. 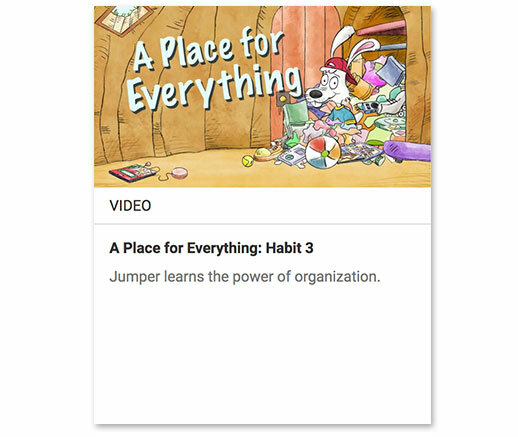 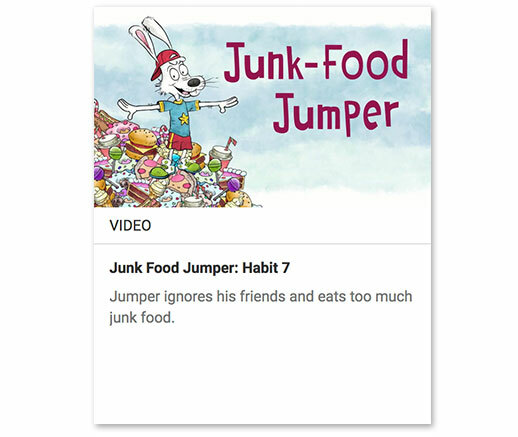 This series teaches students the same essential principles teachers learn in 7 Habits training with content and examples geared specifically towards young teens. 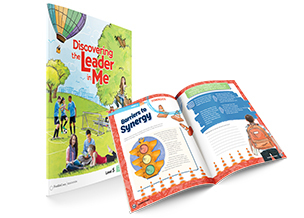 Each level addresses key leadership concepts, ensuring a year’s worth of lessons designed to help every student engage and participate in their school’s leadership culture. 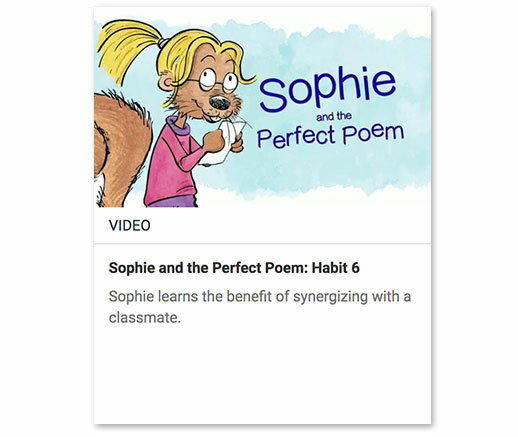 The 7 Habits key concepts can be integrated into just about any subject or activity—during class lessons, assemblies, morning announcements, family nights, or extracurricular events, ensuring a culture of leadership are woven into every aspect of a student’s learning community. 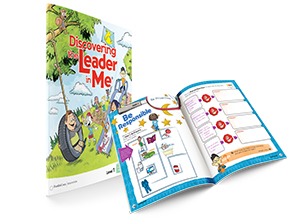 Student engagement and interaction is central to the instructional design of Leader in Me. 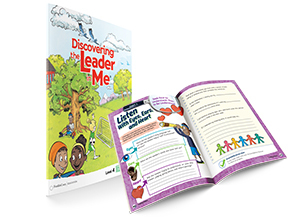 Each lesson in Leader in Me has been designed by teachers, for teachers. 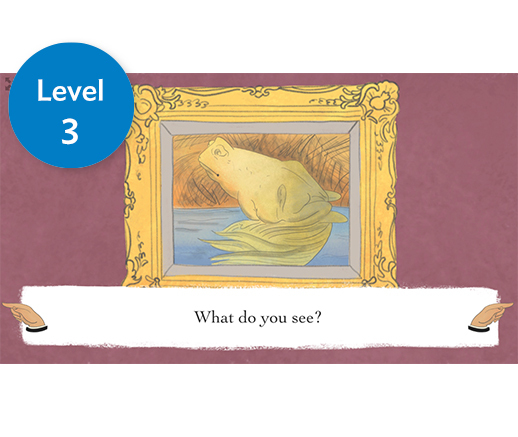 Individual and group work, regular assessments, and digital content work together to provide an engaging learning experience for students with a variety of learning styles. 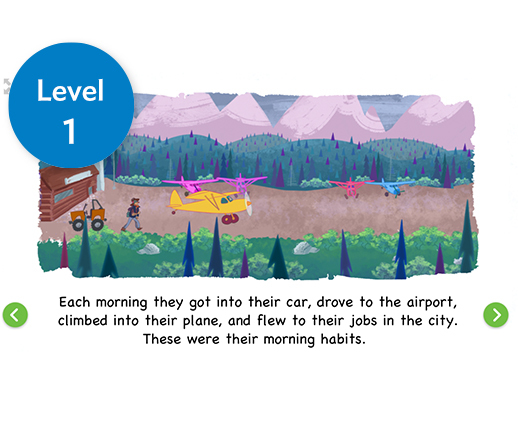 Develop life-ready students by integrating the 7 Habits and 4DX into daily school routines. 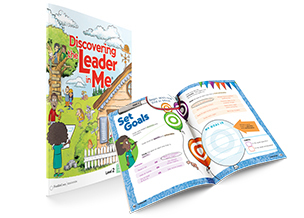 Leader in Me provides schools with a model to help foster life-ready leadership skills by creating a leadership culture. 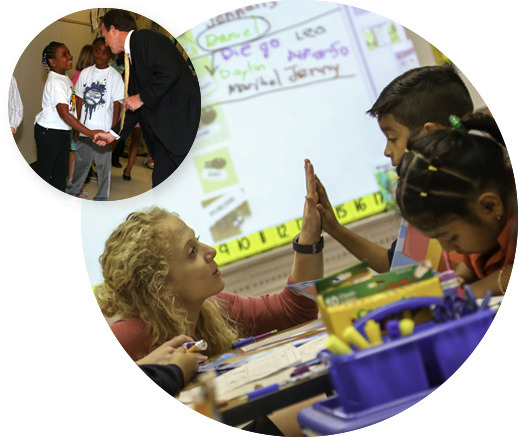 Learn how Leader in Me helps schools develop students for success, both academic and otherwise. 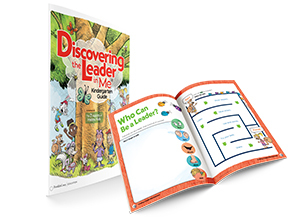 Teachers can help students deepen their understanding of various leadership principles using more than 50 illustrated stories found in Leader in Me Online. 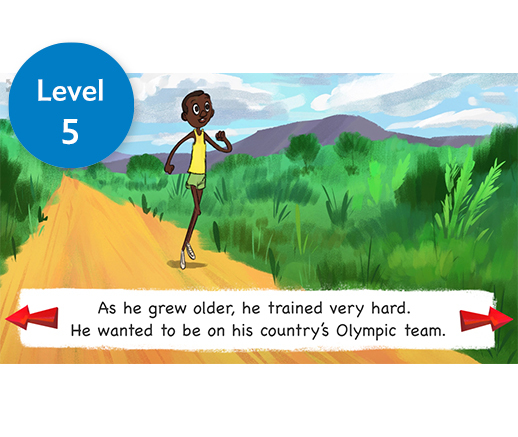 Each level of the series covers 38 key leadership concepts with age-appropriate lesson materials organized in three categories: Leading Self, Leading Others, and More Ways to Lead. 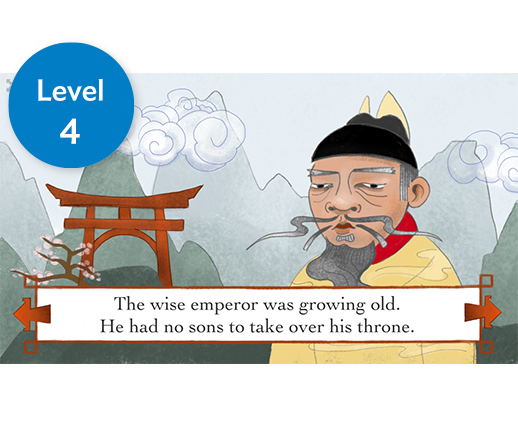 Lessons should be taught over two consecutive grade levels in order to cover all concepts outlined below. 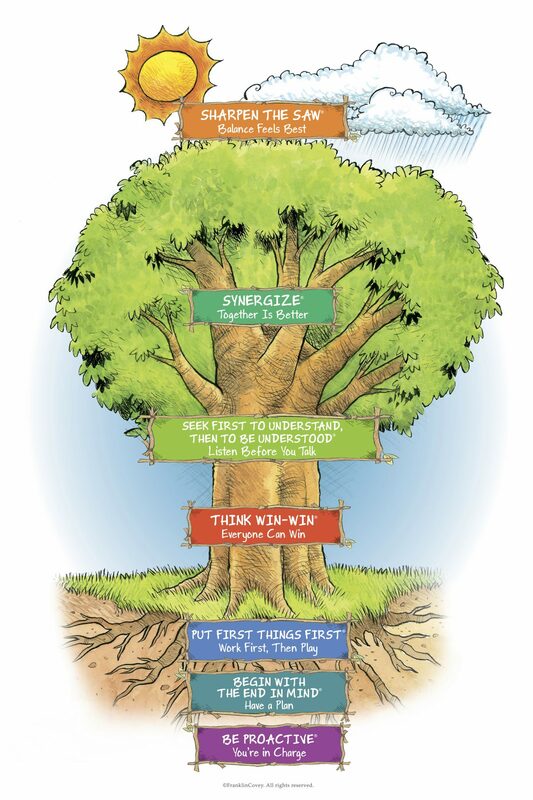 As students grow with our unique content in a six-year scaffold plan as leadership principles and application practices build upon each other in subsequent grade levels. 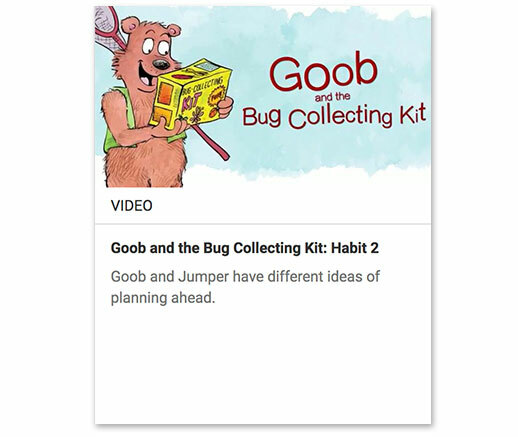 The lessons are flexible and teachers can either follow a weekly schedule or create their own based on the present needs of students. 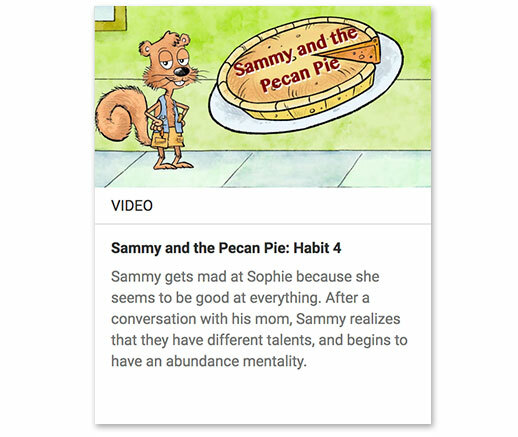 Teachers can enhance classroom discussion and teach leadership principles by sharing the more than 50 award-winning videos found exclusively in Leader in Me Online, including the 7 Habits for Happy Kids cartoon series. 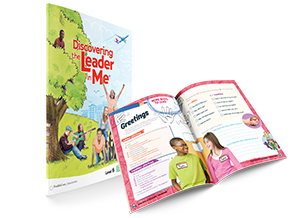 Student Leadership Guides are only available to licensed Leader in Me Schools through Annual Membership. 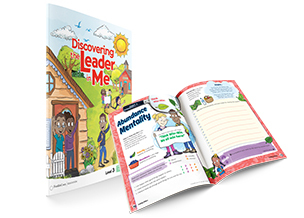 Schools can visit Leader in Me Online to access digital versions of both student and teacher materials, or purchase a printed copies through a local FranklinCovey representative.